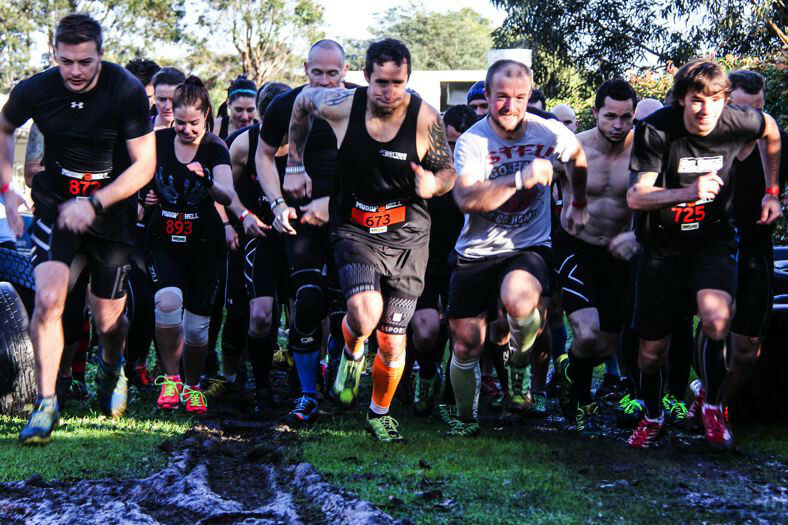 Melbourne’s muddiest winter obstacle course event. 7+km of hellish fun with 60+obstacles and more mud than you will see anywhere else. Tickets to “Hot As Hell” are strictly limited so get in quick. Wave times start at 7:00am and go every 15 minutes after that, you will be allocated the wave you chose at booking (7:00am first wave for competitive competitors only). Wave times will not change from the one you chose unless you are notified. Waves are of 25 participants unless a group purchase is arranged with Muddy Hell, large groups should book early to avoid disappointment. Gluttons should book a start time early enough to allow time for multiple waves. Got some questions? Well before you write up that email check out our FAQ’s to see if your questions have already been answered. You park at Penbank School which is adjacent to the Muddy Hell course (look out for the flags) and pay attention to the signage and attendants to make parking smoother for everyone.